City Space Architecture is a non-profit organization based in Bologna, Italy, with a mission to studying, making, spreading and sharing public space culture, through an interdisciplinary approach, involving art and architecture. City Space Architecture is partner of the UN-Habitat's Global Public Space Programme. City Space Architecture is included in the UN Department of Economic and Social Affairs' Civil Society database. City Space Architecture is engaged in the United Nations General Assembly of Partners (GAP), Research and Academia Partner Constituent Group. Habitat III and at WUF9! If you wish to recommend your work to City Space Architecture, please send us an email, explaining who you are and what is your proposal. This way you will be readily informed of our activities! We are glad to invite our members and friends in Bologna for the international seminar 'VISIONI URBANE / URBAN VISIONS. 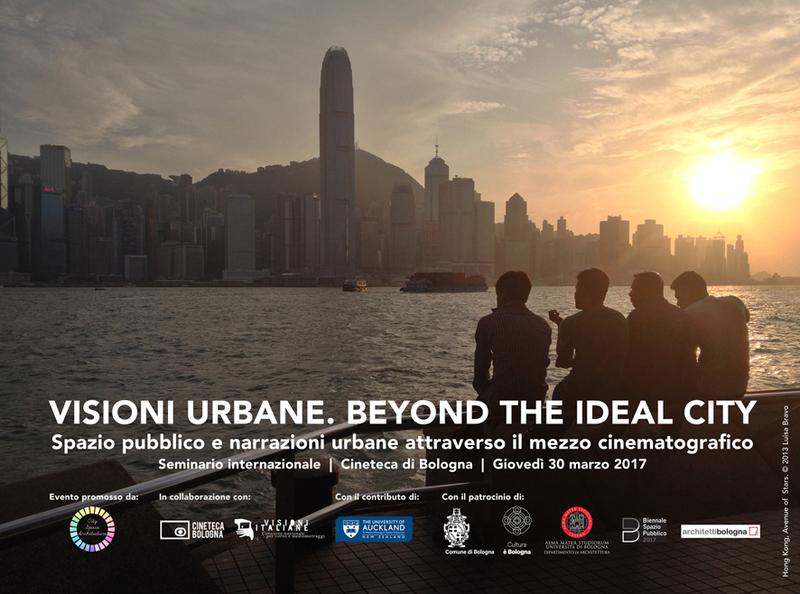 Beyond the Ideal City | Spazio pubblico e narrazioni urbane attraverso il mezzo cinematografico' that will take place next Thursday March 30, 2017 at Cinema Lumière. This seminar is the opportunity to present outcomes of our three-year project, curated by our President Luisa Bravo, aimed at investigating the contemporary city through the cintematography lenses. 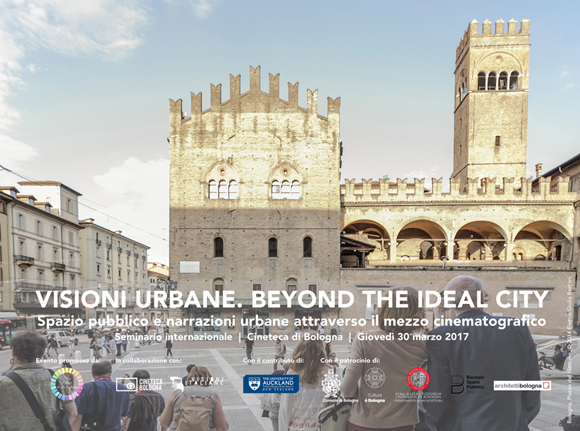 The seminar is promoted by City Space Architecture, in collaboration with Cineteca di Bologna, under the patronage of Municipality of Bologna, of the Department of Architecture of the University of Bologna, of the Biennial of Public Space and the Association of Architects in Bologna, and with the contribution of the University of Auckland, School of Architecture and Planning, New Zealand. We would like to thank our honorary member Manfredo Manfredini at University of Auckland in New Zealand for co-curating the seminar and for his proactive role in promoting this event! - a travelling event, in Italy and abroad. At the upcoming seminar we will discuss with several scholars, academics and film-makers about #publicspace and the future of our cities. We will have a special guest, Colin Fournier, Emeritus Professor of Architecture and Urbanism and Principal Research Fellow at the Bartlett School of Architecture, University College London (UCL) and Visiting Professor at The Chinese University of Hong Kong. He was Bernard Tschumi’s partner for the design of the Parc de la Villette in Paris and co-author, with Sir Peter Cook, of the Graz Kunsthaus, a radical museum of modern art in the city of Graz, Austria. Prof. Fournier was an associate member of the famous experimental design group Archigram Architects and was curator of the 2013 Bi-city Biennale of Architecture and Urbanism in Hong Kong and Shenzen. He is currently Chair/ Principal of TETRA Architects 肆合設計. - in the afternoon, starting at 2.30pm, some short films from the film competition will be screened and discussed with their authors, together with members of the jury. The poster, with the full program and a description of the research project VISIONI URBANE (in Italian) can be downloaded at this link. Read more about the project (in English) at this link. If you are interested to attend please register on Eventbrite, it is free of charge. The event is accredited at the National Council of Architects. If you are an architect and are interested to get 6 CFP, you are required to pay a small fee. Check the Eventbrite page. This entry was posted on March 24, 2017 at 12:03 pm. No Responses to "Urban Visions. 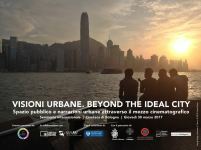 Beyond the Ideal City | International seminar @ Cinema Lumière"
City Space Architecture in partnership with UN-Habitat, the United Nations Human Settlements Programme, founded the first, international, interdisciplinary, academic, open access journal entirely dedicated to public space. We want to spread awareness on the importance of public space in our cities. We need your help to make our global campaign successful. Graphics and web-based database framework by S. Garagnani. Administrator's login page here!